The theme of Davos 2017 is "Responsive and responsible leadership"
Watch the press conference with Co-Chairs of the Annual Meeting 2017 here. 3,000 people will converge on a small town in the Swiss mountains for the World Economic Forum’s Annual Meeting 2017, running from 17 to 20 January. What are they doing there? Who are they and what do they hope to achieve? Davos 2017: What’s it all about? Unless you have been living under a rock on Mars, you will be aware that 2016 was a turbulent time for global affairs, with a backlash against globalization leading to two surprising vote results and a rise in populism in the West. “A new model of responsive and responsible leadership is needed to allow us to address the challenges the world faces, from security to the Fourth Industrial Revolution, with long-term, action-oriented thinking and solidarity on a national and global level,” he added. You can read more from Professor Schwab on the theme of the meeting here. The meeting will focus on four key leadership challenges for 2017: strengthening global collaboration, revitalizing economic growth, reforming capitalism and preparing for the Fourth Industrial Revolution – a huge leap powered by the digital age, which is transforming the way we live and work. It will do this through a programme where more than half of the 400 sessions focus on social inclusion and development. Davos revolves around the idea that the only way to address big challenges is to talk to all groups in society and all members of the international community. This is multi-stakeholder theory, and the Forum believes it’s as relevant today as it was in 1971 when the first Annual Meeting was held. This year, the meeting will include Shaping Davos, connecting leaders with young people from 20 cities around the world to address the concerns of the millennial generation, as well as 30 sessions dedicated to finding better ways to deal with humanitarian crises, and a number of sessions from social entrepreneurs – people who harness the power of business for social good. One-third of the 3,000 participants come from outside Europe and North America, while one-third will represent stakeholder groups outside business and government, making it the most diverse Davos yet. In addition to government delegations from over 70 countries, including all G20 nations, this year’s meeting will be attended by António Guterres, the new Secretary-General of the United Nations. The meeting will be opened by President Xi Jinping of China, who will be accompanied by the largest delegation of Chinese officials since the country first participated in an Annual Meeting in 1979. 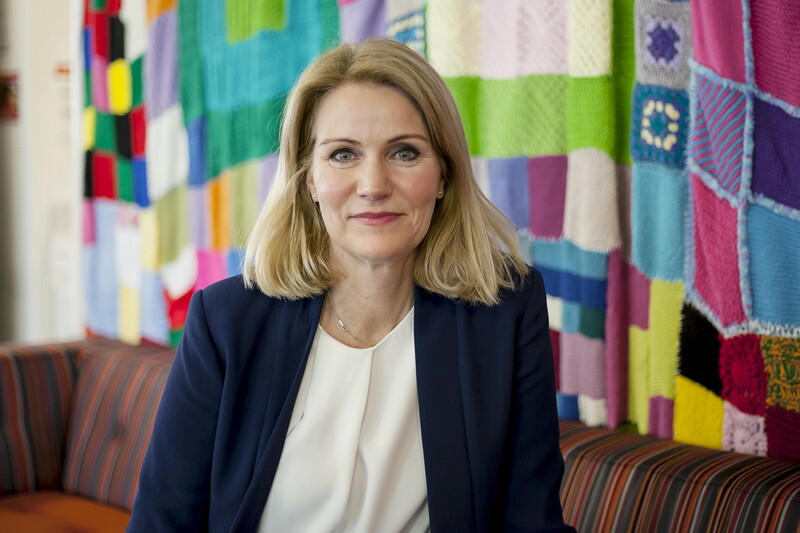 Heads of NGOs include Co-Chair Helle Thorning-Schmidt, Chief Executive Officer of Save the Children International and former Prime Minister of Denmark; scientists include Fabiola Gianotti, Director-General of CERN; while cultural leaders includes Negin Khpalwak, Afghanistan’s first female orchestra conductor, and the singer Shakira, who will be given a Crystal award for her work on childhood education. The other four Co-Chairs, who will steer discussions and give a news conference at the beginning and end of the meeting, are: Meg Whitman, President and Chief Executive Officer, Hewlett Packard Enterprise, Brian Moynihan, Chairman and Chief Executive Officer of Bank of America; Sharmeen Obaid-Chinoy, an Oscar-winning documentary maker whose work prompted Pakistan’s government to toughen legislation against honour killings; and Frans van Houten, President and Chief Executive Officer of Royal Philips. From Raed al Saleh, the founder of Syria’s White Helmets volunteer rescue group, to civil society and spiritual leaders, you can read more about the people you might not expect to see at Davos here. What has Davos achieved in the past? In 1988, the signing of the “Davos Declaration” between Greece and Turkey avoided two nations going to war. 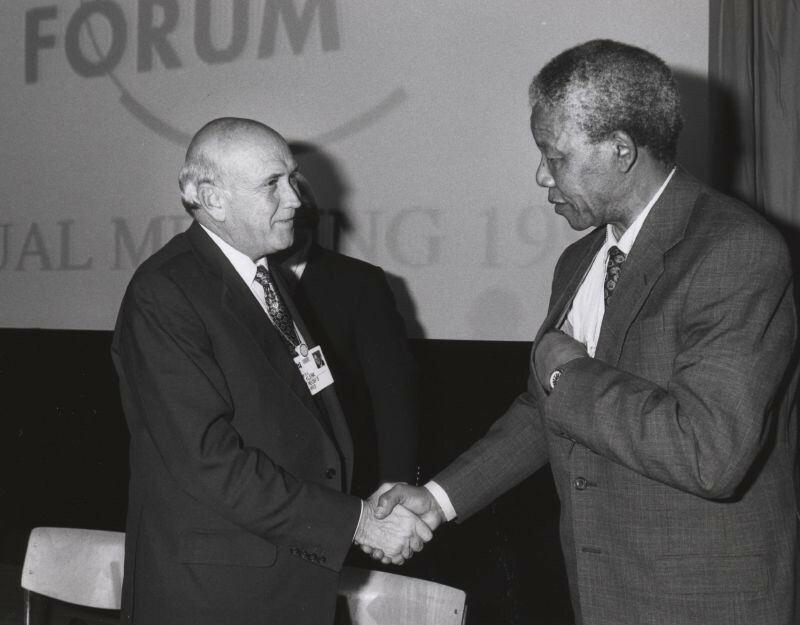 In 1992, a recently liberated Nelson Mandela shook hands with South African President FW de Klerk, a key moment in the end of the apartheid era. GAVI, a global alliance to vaccinate children in the poorest parts of the world, publicly launched at Davos in 2000. While the Forum is proud of this history, it’s important to understand that Davos is meant to be a platform: a facilitator rather than a do-er. It’s a way of getting all the people who can make a difference, who might not otherwise meet, in the same room. What’s more, Davos is just one event in a year-long calendar of regional and other meetings, as well as projects and initiatives that target everything from curbing climate change to helping business leaders push for peace in the Middle East. The average temperature in January is -5 degrees centigrade, it’s over two hours by train from the nearest major airport, but the Swiss resort town has a long history as a meeting place for the exchange of ideas. In the 19th century, Davos became well known for its sanatoria, where TB sufferers – including writers – sought a cure in the cool, clear air. Thomas Mann’s 1924 novel, The Magic Mountain, which explored the clash of ideas in a modernizing Europe, was set in Davos. In the same decade, Einstein lectured at a philosophical conference there. The isolated setting is supposed to help visitors to look beyond their everyday concerns. How can I follow the meeting? You don’t have to be in Davos to take part. We share ideas and insights from Davos via Twitter, Facebook, YouTube, Instagram, LinkedIn, Google+ and YouTube, and will be publishing over 100 blog posts on our writing platform, Agenda. This year we’ll be encouraging our digital audience to leave questions for Davos participants taking part in our Facebook Live interview series. 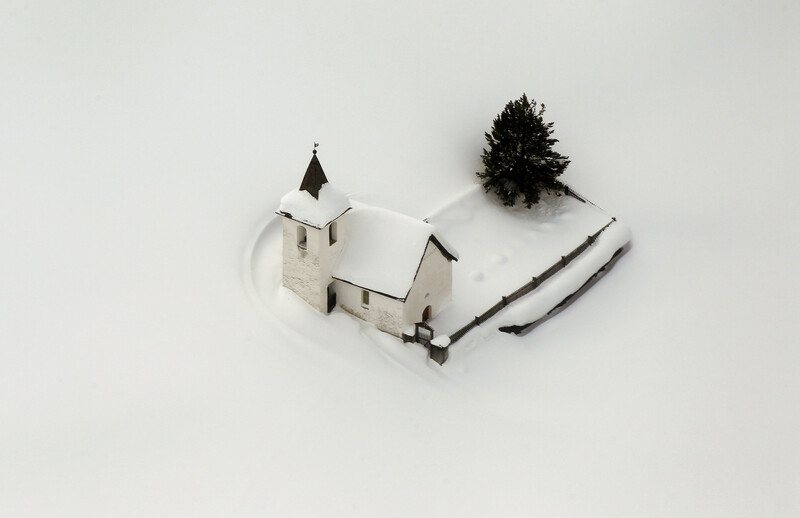 Find out more about how to build your very own digital Davos here.